Despite the above, the complexity this sector has are on two accounts, one is the number of business models i.e. Hypermarkets, Cash-and-Carry, Department Stores, Supermarkets, Shop-in-shop, Discount Stores, E-commerce etc. and second is the current Indirect tax regime which is laden with various anomalies such as multitude of taxes, multi point levy, valuation issues, pricing issues, discounting issues, huge compliances etc. Therefore, this sector has always been a scape goat for persistent litigation. Apart from the above, various operational challenges, the biggest being hindrance in movement of goods from one State to another, have always been a bleeding point for this industry. It hasbeen reported that a transport truck covers approximately 250 KM in one day in India, whereas the global average is 700 KM. The overall frame work of GST has been borrowed from the prevalent European VAT, however, there are some peculiar features such as Dual Levy i.e. Centre and State have the power to levy tax, destination based consumption tax, few sectors (such as petroleum, Alcoholic liquor for human consumption) are outside the GST ambit. The factors which will improve the overall ecosystem of the retail sector are multi-fold i.e. on the legislation front, there is single trigger of levy i.e. ‘Supply’, fungibility of input tax credits which will reduce the cascading impact of taxes, a standard valuation mechanism, simple rules for place of supply (to identify inter-state movement of goods) and simplified time of supply rules (which provides for time at which tax is to be discharged). On the compliance front, there is a standardised procedure for payment of taxes, filing of returns, obtaining refund, affecting assessment etc. across different States. As far as the biggest bottleneck which is crossing of State barriers for movement of goods across States, it is expected that India may be able to reach the global average of Kilometres covered by a truck in a single day. This in turn may make various companies revise one’s supply chain model or operating models to consolidate the distribution centres/ warehouses. Another important factor is IT systems. It is imperative to have a robust IT system which should be GST ready to ensure a smooth transition. Therefore, various Information Technology platforms i.e. ERP systems (SAP, Oracle etc.) need to be overhauled to incorporate the changes as proposed in the Model GST law. The E-commerce players in India will also get respite from the frivolous litigation as the GST will resolve impending issues such as levy of VAT on merely facilitating sale of goods, entry tax matters etc. The GST law has addressed such issues; however, the compliance burden has been increased by making e-commerce players liable to collect tax at source (‘TCS’) from the merchants. Despite the various advantages, the impact on retail sector must be analysed in detail for companies already operating in India as well as companies planning to set up operations in India. Non-availability of final legislation, corresponding Rules which are yet to issued, finalization of tax rates etc. makes it difficult for one to assess the impact even when there are only 4 months remaining for implementation. Also, the multiple checks and balances as provided under the transition provisionsmust be factored for analysing the impact and restructuring of business/ operation model.The ambiguous clauses pertaining to ‘Anti-profiteering’ which provides mandatory passing of benefits arising under GST is also an arduous matter to comply with. Therefore, it is advisable that the impact of such mammoth change must be followed to the minutest detail to survive whilst the dust settles.The companiesshould be proactive and get themselves acquainted with the law and developments around it for a smooth transition. 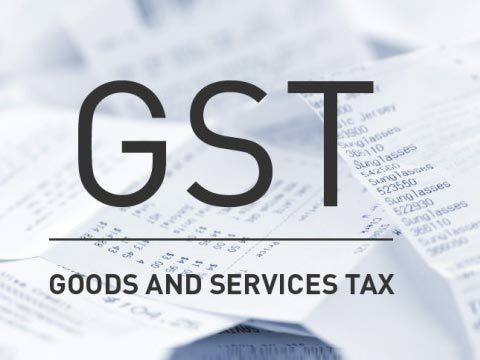 The article has been pen down by Nimish Goel, Head Indirect Tax practice and GST at International Business Advisors with comments from Akshaya Khandooja,Senior Manager at IBA.